Dr. Seuss | Sea Horse, run! The coral reef was the perfect setting for the brilliant colors in Mrs. Bronson’s collages. “I do a lot of research for my books,” she says, “but the art requires the most. 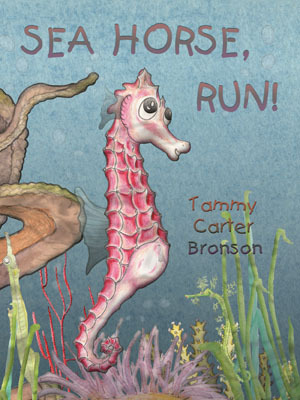 I always start in the library, but for Sea Horse, run! I also visited seven different aquariums across the country.” Mrs. Bronson uses dry-brush watercolor with some pencil and colored pencil then she cuts and pastes everything together in the computer adding a few special effects. 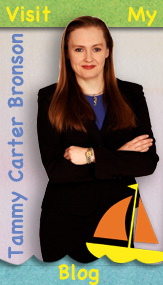 Tammy Carter Bronson is the author and illustrator of three picture books: Tiny Snail, The Kaleidonotes & the Mixed-Up Orchestra, and Polliwog. Sea Horse, run! is her fourth book and will be available in bookstores June 1, 2011.